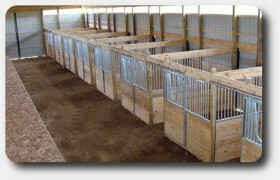 What to consider regarding placement of horse barns. Even when properly engineered buildings are located on soil with poor drainage characteristics, the pens and areas used for equine purposes are messy and more likely to create hoof related issues for your animals. 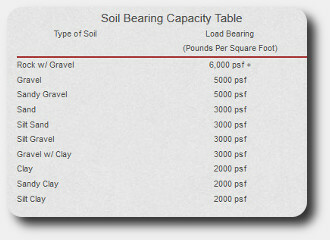 Your barn may not include all these options but careful consideration can be helpful for the options you need. 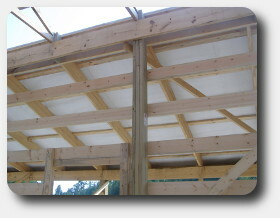 This page will provide delivered pricing on horse barn kits. Installed pricing available in 24 hours through custom quotation. Exterior – Dutch doors are preferred to allow ventilation into stall by opening top. Interior – Sliding doors to prevent swing doors from taking up aisle space. Professionals agree that storage of bulk hay in horse barns is a bad idea due to fire hazard, respiratory problems, ventilation concerns, and rodent infestation. Condensation occurs because warm air can hold moisture in suspension better than cold air. Colder surfaces cause this moisture to lose suspension and collect on the colder surface. Humidity caused by breathing and evaporation of urine and manure create condensation problems too. One 1,000 pound horse emits two gallons of moisture in the environment per day on average. A 60% or lower humidity level in a barn is ideal. The drier the better. Condensation problems are extreme in climates where temperatures drop below 35° for extended periods. Our design services includes any size horse barn plans needed including Raised Center Aisle or Monitor, Gambrel, racetrack or other configuration. 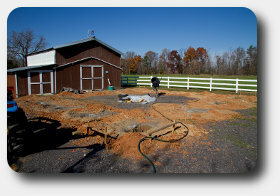 We welcome any questions or comments you may have regarding our version of the perfect horse barn. 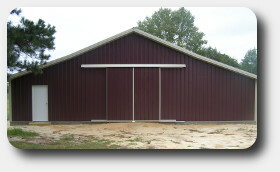 We turnkey install barns and provide building packages for D.I.Y. construction. Please contact us for more information. Long long between order and delivery?